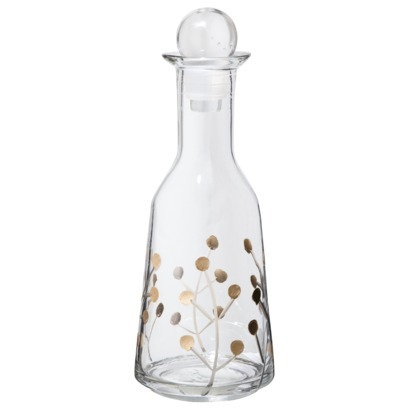 Although most of my home decor comes from thrift shops, I have a big weakness for one particular retail outlet: Target. It doesn’t help matters that I live five minutes away from a shopping center that includes a Goodwill and a Target; I find myself driving over there to check both out a few times a week. 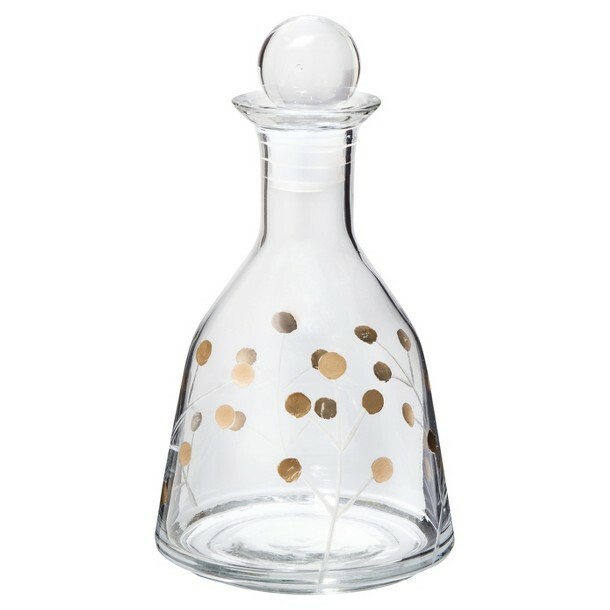 I have been eyeing up a lovely set of matching decanters for the past month but have talked myself out of buying them because a. they are a very nonessential item, and b. they would have cost over 30 dollars for the pair. To a seasoned thrifter like me, 30 dollars for two small decorative items is absurd. However, when I stopped in today to grab some milk, I saw that both of these beauties were on clearance for 50% off! They were in my basket faster than a piece of vintage Pyrex at the thrift store (okay, maybe not possible). In this case, patience really did pay off. I’m still not sure where I’ll put them, but I think they’ll be great pieces to work into my fall and winter decor. What about you–have you ever found something you’d love to have, but decided to wait it out in hopes of getting a better price? This entry was posted in Uncategorized and tagged bargain, clearance, goodwill, home decor, target, thrift shops. Bookmark the permalink.